Photo Magic Events lets you add an exciting sponsorship opportunity to fundraisers by extending the fun with our backdrop and frame options. Our Share Station opens the door to multiple marketing opportunities and allows you to immerse attendees in your brand. 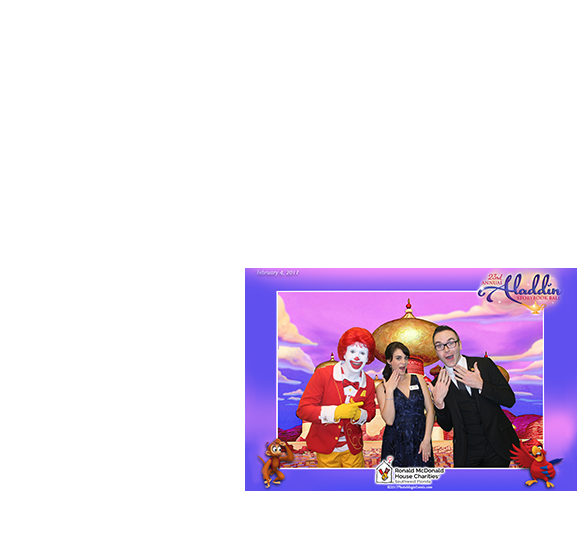 Themed events and galas are perfect for Green Screen photo gifts where guests are transported into fantasy backgrounds. Printed photos, digital photos including GIFs and Burst GIFs can be shared via email, text message or social media sharing platforms and are among the many photo possibilities we’ll create just for you. your cause long after the event! Add a fun activity, enhance your brand and give guests a lasting photo memory that will keep your charity top of mind as guests keep and display their photo gifts. Secure a photo booth sponsor(s) to underwrite the booth and give them enhanced exposure with logo presence, call to action opportunities and guest emails. We’ll educate our staff as brand ambassadors or sponsors can provide an employee to engage guests at the photo kiosk. Open the door to multiple marketing opportunities by adding the Share Station and immerse guests in your brand. The Share Station allows you to craft a customized message that will be sent to guests that wish to have their event photos emailed to them allowing for another point of contact for your organization or business. It also provides the unique benefit of being connected to various social media platforms, allowing guests to immediately share their photos and extend the events reach even further. If you are looking for innovative ways to increase the value of sponsorship for your event, call us today and we’ll design a guest experience that will exceed your expectations and immerse guests in your brand.